This week's case involves the object shown, which was found in a urine specimen. Check out Mayo Clinic microbiologist Dr. Bobbi Pritt's blog, Parasite Wonders, to see a video in addition to the microscopic images. What is it? Every week, Dr. Pritt posts a new case, along with the answer to the previous case. 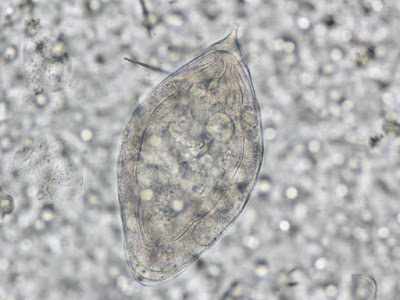 Read Dr. Pritt's blog, Parasite Wonders, and submit your answers, comments and questions. Learn more about Dr. Pritt's work, and enjoy science!